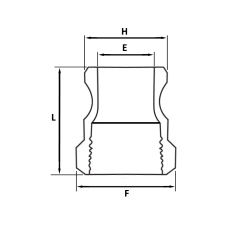 Having difficulties looking for Cam and Groove Couplings? We can help you because we have all sizes. 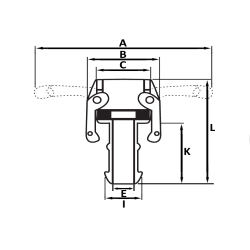 Cam and Groove fittings are made in accordance with EN 14420-7 standards (DIN 2828). 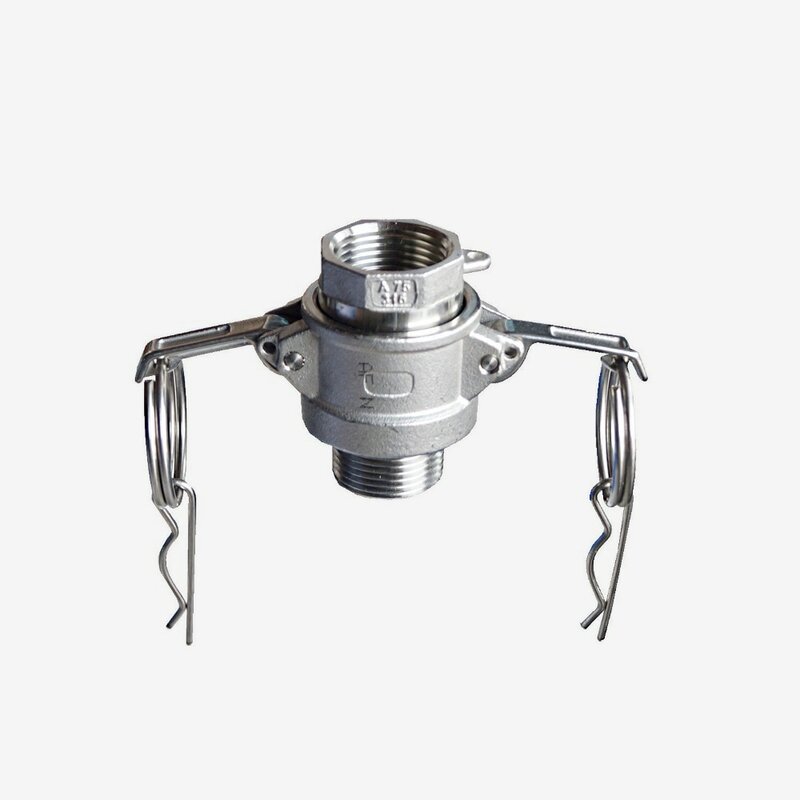 They are used for hose-to-hose or hose-to-pipe connections when transferring liquids. 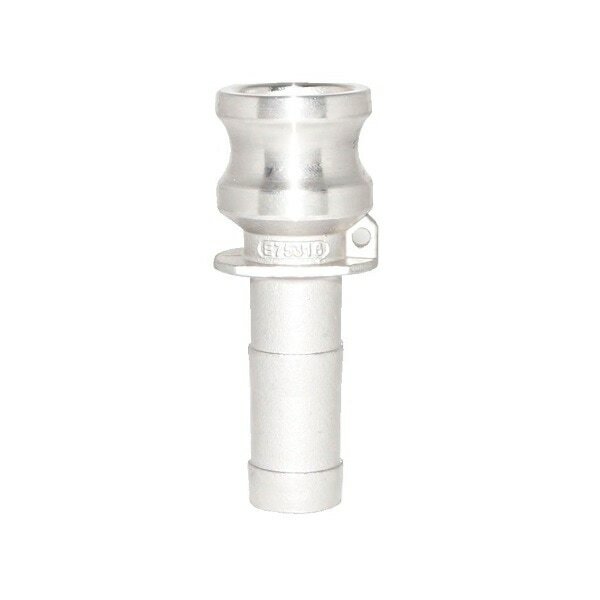 These fittings are commonly known as Ever-tite, cam lock fittings or cam lock couplings. 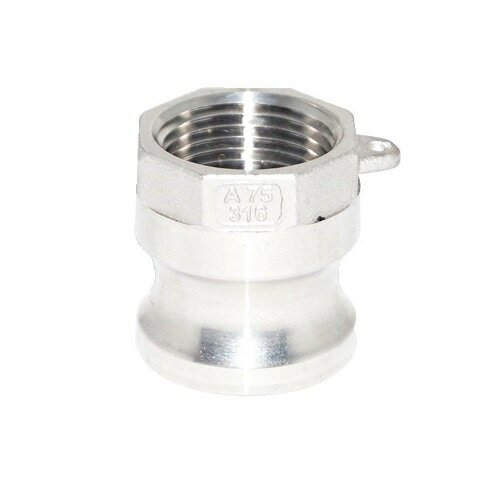 Cam lock fittings are suitable for liquids application or dry bulk products, but not recommended for gas and steam application. 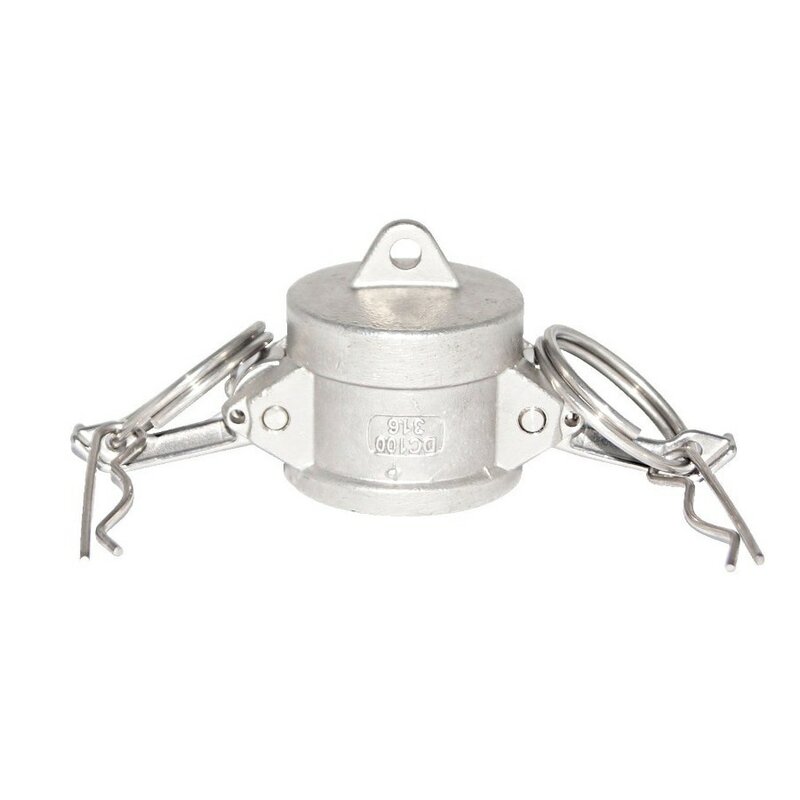 Cam lock couplings are available in four materials: Aluminium, Steel, Stainless Steel, and Brass. 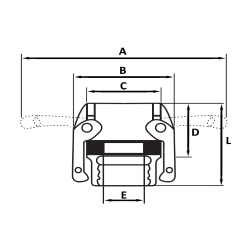 The working pressure for cam lock fittings are up to 250 PSI. 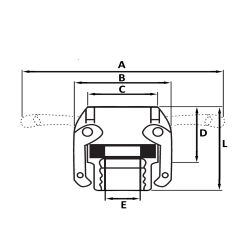 Connections of cam lock fittings for different requirements are defined below. To make connection, simply slide the Adapter into the coupler and with normal hand pressure, press the cam levers down. ​Uncoupling is as quick and simple as coupling. Just lift the cam arms and remove the adapter. 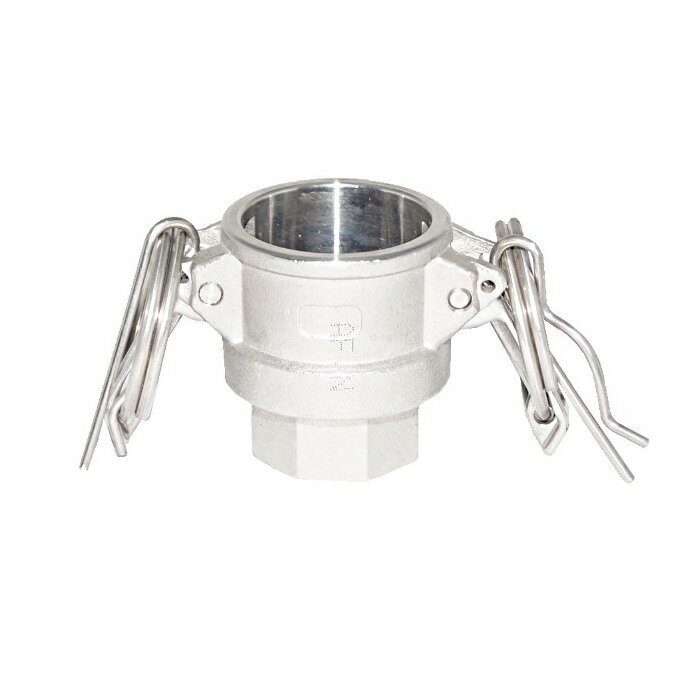 Cam and groove fitting is a kind of fittings that are used to connect and disconnect on fitting on pipes and hoses. 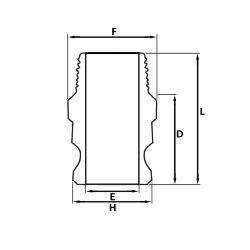 Cam and groove fitting are well known as Ever-tite or Cam and groove couplings. It is made in accordance to EN 14420-7 standards (DIN 2828). Due to its economical and easy installation, cam and groove fittings are being used in extensive applications. However, these fittings are not recommended for gas service like steam and air. ​Cam and groove couplings are available in variety of material which includes stainless steel, brass, steel, and aluminum. Its availability in various kinds of material allowed it to be used for different media. 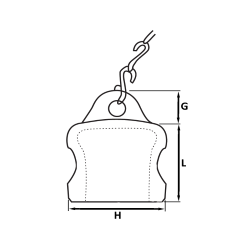 The available size range for cam and groove fittings are from 1/2" to 4". The maximum working pressure is up to 250 psi. Working pressure of cam and groove fittings will be affected by its material and working temperature. Below table show the maximum allowable working pressure (PSI) of cam and groove couplings. However, ambient temperature will also affect the cam and groove couplings pressure ratings. The temperature de-rating factors are as below table. 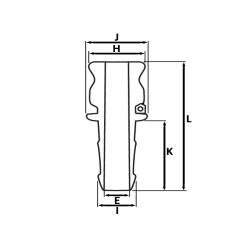 ​The connections of cam and groove couplings include screw end or hose shank. 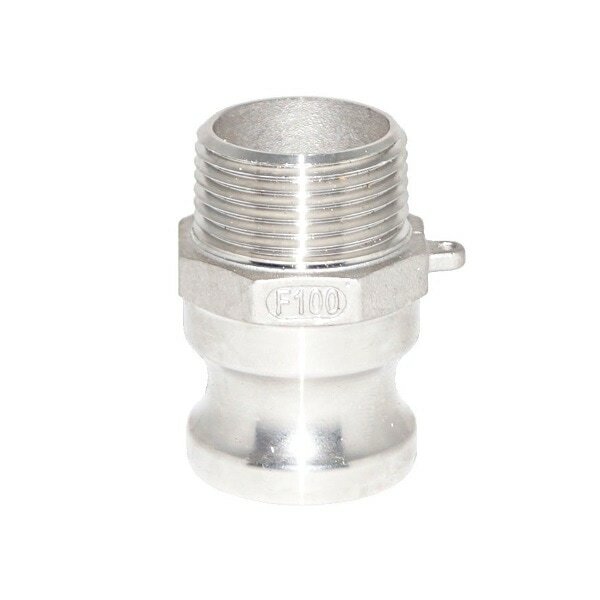 Cam and groove fittings contain two parts: male adaptor and female coupler. There are six types to categorize male and female parts. Pull the lever to the above of cam handle. 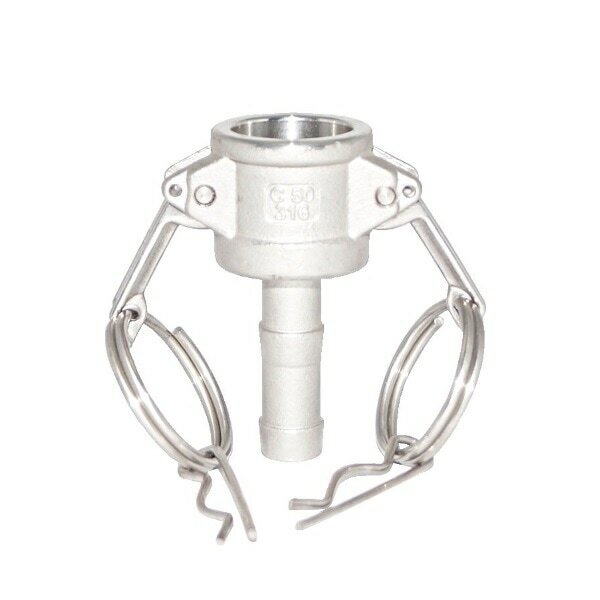 Slide in the adaptor to female coupler with normal hand pressure. 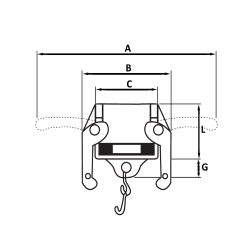 By press down the levers, it will lock the adaptor inside female coupler. 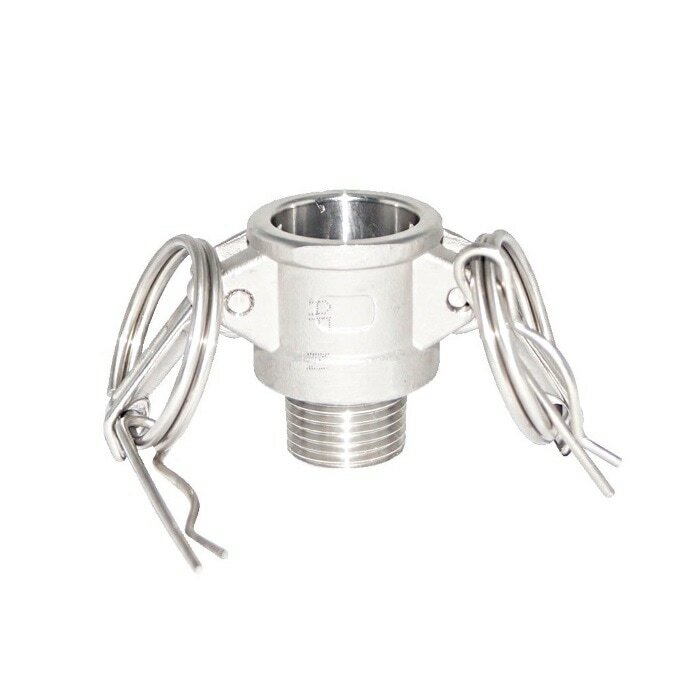 ​To disconnect adaptor from coupler, depressurized the cam-lock couplings connection first. Pulling up the levers to above of cam handle then the adaptor can be removed from coupler. 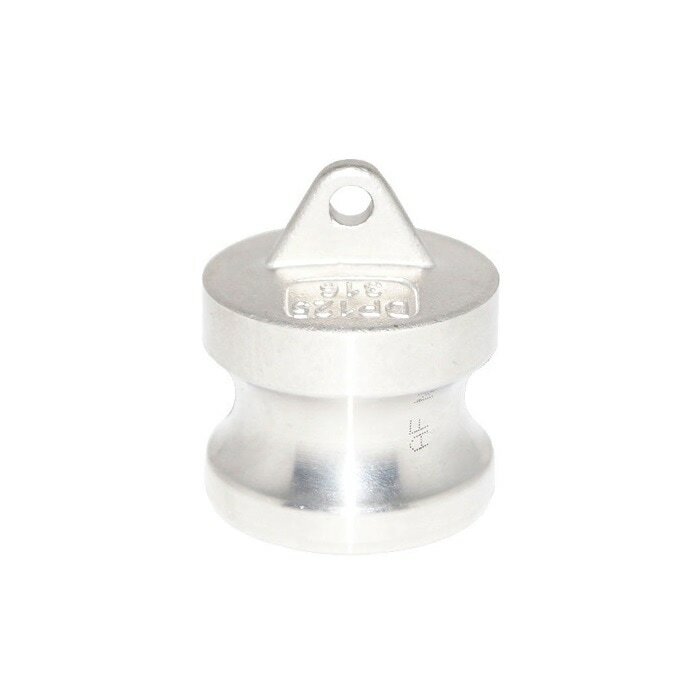 Whenever adaptors or couplers are not in used, connect to dust cap or dust plug to prevent it from damage.